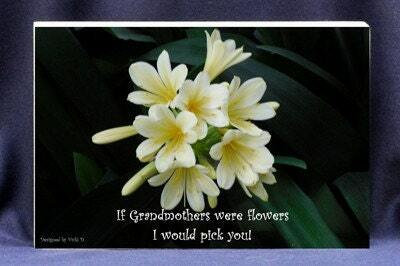 Photo Gift Plaque for Grandma reads, If Grandmothers Were Flowers I Would Pick You. 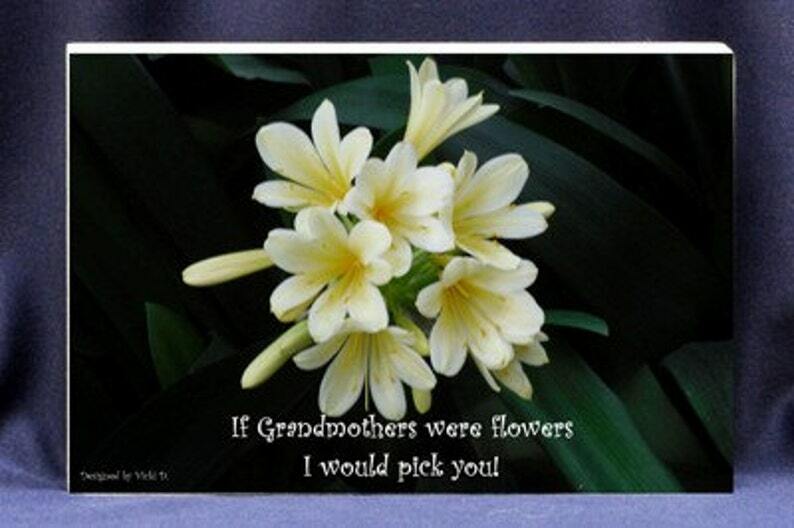 Beautiful flower photograph, loving quote for grandma & gift plaque in one! The Inspirational Photo Block © is far better than a greeting card and the gift that keeps on giving! Designed by Vicki D. and sold exclusively by Absolute Inspirations Gift Store. We are happy to send a note along with your gift. Simply go to the request a custom order link and let us know how you would like your note to read.